I am a blog addict. Not only do I write my own blog but I follow a bunch that tend to focus on jewelry. One of my favorites, Art Jewelry Elements, happens to focus on Art Beads. 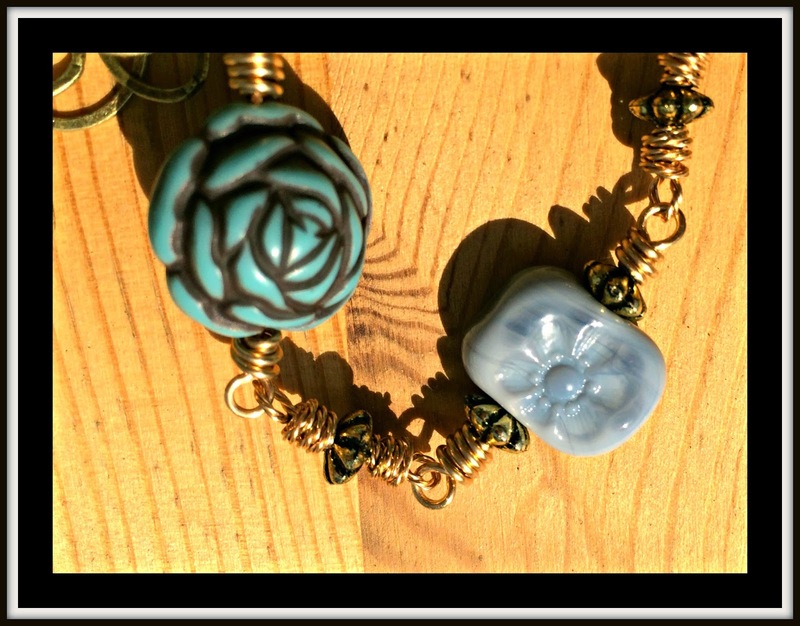 They have a monthly blog hop where the contributors will make some jewelry based on a component they are sent by one of the other contributors. They also have a drawing where the readers can enter to get a shot with designing with said component. Okay now that I have confused everyone, let me show you what I am talking about. Yep, those beads were up for grabs and by one of my favorite artisan bead makers, Sue Beads. Sue has come out with a new style bead that she calls Chicklets. Aren't they just darling. And such great fun to work with. Yep. 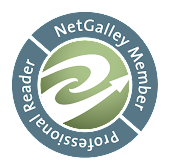 I was one of the readers chosen to participate this month. I admit to fondling the set I was given a few times and then I set them on the shelf where I could see them while I was working. Well it just happened that I also put a set of country style roses on that same shelf because I wanted to make them into something. And as they say, history was made or something like that. I wanted to make myself a necklace that I could toss on with all the varied blues that I tend to wear during the summer so out came the copper wire and chain. I am not sure that I did them justice but I will say that this is a fun necklace to wear and it is long enough that I can just toss it on when I am heading out the door. I did want to give you a close up of one of these beads. Aren't they just darling? I know that I am going to be picking up some more because I want to use some in a couple bracelets. Now that you have seen what I made, be sure to check out how everyone else used these delightful beads. And be sure to follow Art Jewelry Elements because I would love to what you have made in one of their future hops. A very pretty very wearable necklace Shai - enjoy your summer wearing it. Lovely design Shai.. those roses are gorgeous! Sweet and feminine, love the colors and textures!! I love your necklace Shai, and your copper links are fantastic! It looks like a great necklace to just throw on! Thanks so much for playing! I love it! It's definitely perfect for summer and winter. And also spring and fall :-) I would definitely get a lot of mileage with this fun piece. Thanks for reading AJE and participating in the design challenge! I think you did the beads justice. They look great with the copper and country roses. I love the style of necklace so the beads can take center stage. It will go with everything and be fun to wear. And yes, I agree, the chicklet beads are darling! Beautiful necklace Shaiha, and those roses go perfect with Susan's Chicklets. A beautiful necklace! of course blue is my favorite color to work with. Great necklace! I love how you brought the varied shades of blue together, a what a fantastic "everyday" style. I love the necklace! all the texture is perfect! I had the same idea--a nice long necklace! Your rose beads harmonize so nicely with the lampwork, and your wire wrapping is lovely--I prefer to add an extra course of wrapping to my pieces too. I hope you have a happy summer with your new necklace! This is a necklace that would be fun to wear all summer long. The weather is supposed to stay pretty for the next week. Enjoy! Stylish and lovely. I love the chain work and the chosen beads and colors. Yes, Sue's chicklet beads are darling indeed! Love the ocean of blue you've combined and the fun easy going style of your necklace—I'm sure it's going to be a perfect go-to necklace! Just followed the link here from your Chicklet post. This is a wonderful necklace too, Shai! Love all your choice of beads! P.S. I'm a big fan of blue and really long "toss-on" necklaces too! 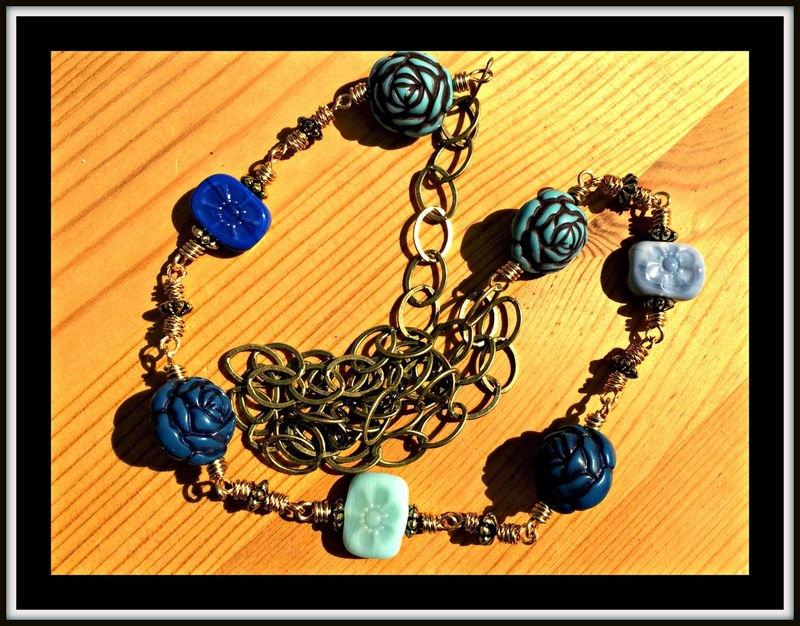 I have a great love for blue roses -- in jewelry, in clothing, I just love them and your "garden" necklace is gorgeous! The floral chicklets & roses are blooming beautiful! Love the long copper length, too. Fabulous!